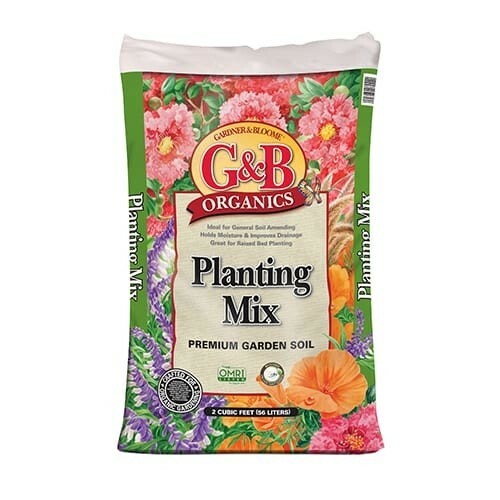 Great for in-ground planting projects including planting, amending, mulching, or seed cover. Ideal for general soil amending, blend G&B Organics Planting Mix with your native soil to help build and restore a strong soil environment that allows your plant to reach their full potential. Its woody texture creates the perfect balance of moisture retention and drainage, helping to break up compacted soils and providing an excellent environment for beneficial microbes to thrive and nourish your plants.